Your Ad Preview100% Authentic for stylist!! 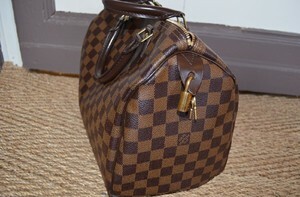 Guaranteed Authentic Louis Vuitton Speedy 30 in Damier Ebene. I have had this bag for a few years as reflected in the date code (SD4120) and have used it for maybe a month. I just prefer the Monogram Canvas vs. Damier Ebene. Authenticity guaranteed. Will include everything pictured including bag, dust bag, lock, 2 keys and tags. Will accept Paypal. Offers welcome! Thanks!